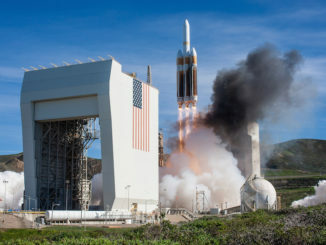 The first of up to seven United Launch Alliance missions lifted off Jan. 19 from Vandenberg Air Force Base in California, where a Delta 4-Heavy launcher fired into orbit with 2.1 million pounds of thrust from three hydrogen-fueled RS-68A main engines with a U.S. government spy satellite. 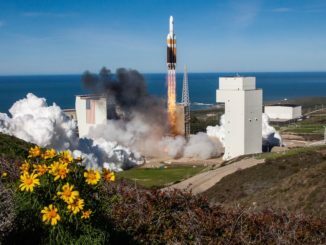 A top secret surveillance payload owned by the National Reconnaissance Office soared into space Saturday from Vandenberg Air Force Base in California on top of a United Launch Alliance Delta 4-Heavy rocket, entering an unusual orbit not previously used by the U.S. government’s spy satellite fleet. 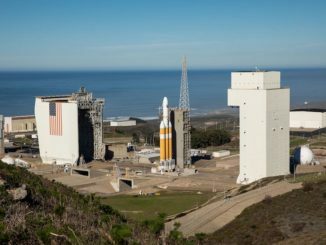 United Launch Alliance’s Delta 4-Heavy rocket lifted off at 11:10 a.m. PST (2:10 p.m. EST; 1910 GMT) Saturday from Vandenberg Air Force Base, California, after a month-long delay to troubleshoot a hydrogen leak in one of its boosters. The heavy-lifter was on a mission to send a U.S. government spy satellite into orbit. The first of up to seven missions planned on United Launch Alliance’s Atlas and Delta rocket fleets this year is scheduled for Saturday from California’s Central Coast, when a Delta 4-Heavy is set for blastoff on a spy satellite delivery flight delayed a month to troubleshoot a hydrogen fuel leak in a booster. 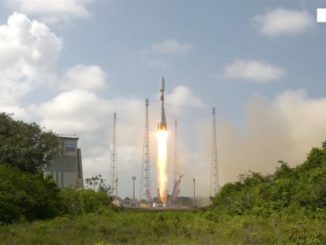 Launching for the 20th time from the jungle of South America, a Russian-built Soyuz booster rocketed into orbit Wednesday with a new eye in the sky for the French military, the first in a series of upgrades planned for the country’s defense satellites over the next five years. 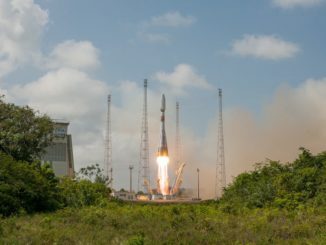 The French military’s newest sharp-eyed optical surveillance satellite lifted off at 1637 GMT (11:37 a.m. EST) Wednesday from French Guiana aboard a Russian-built Soyuz launcher, marking Arianespace’s 11th and final launch of 2018. The Soyuz rocket and Fregat upper stage will place the CSO 1 spacecraft into orbit around 500 miles (800 kilometers) above Earth. 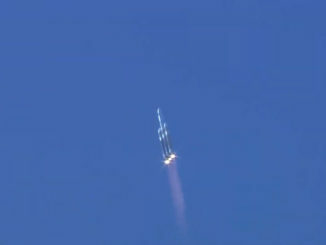 Managers delayed the launch from Tuesday due to unfavorable high-altitude winds. 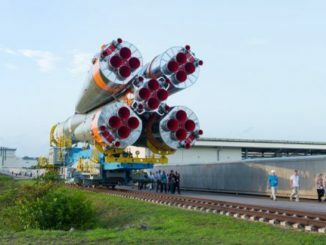 A Russian-made Soyuz booster rolled out to its launch pad in French Guiana on Friday, and hydraulic lifts rotated the launcher vertical in preparation for liftoff Tuesday with the first in a new series of French military spy satellites.